The city of New Orleans in Louisiana is named after the Duke of Orleans who ruled as Regent on behalf of Louis XV from 1715 to 1723. 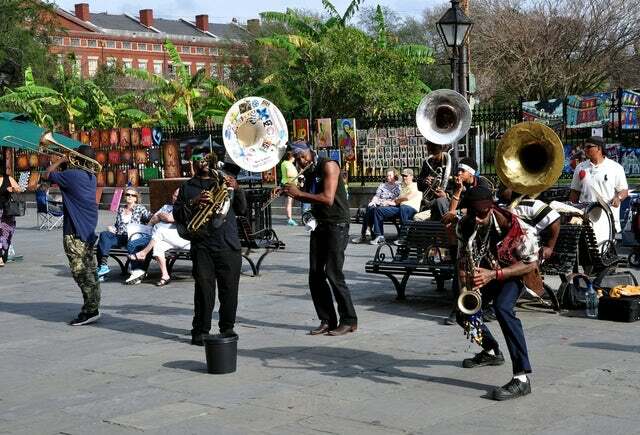 The city of New Orleans is popular for its jazz music, expertly prepared cuisines and festivals such as Mardi Gras. The city straddles the great Mississippi River and is often described as the most unique city in North America. Below are a few points that will help you understand the city more. 1. In 1796, New Orleans became the first city to host Opera in the United States. 2. The First Mardi Gras Parade took place in New Orleans on Shrove Tuesday in 1938. 3. Named after the French ruler Orléans, the city features a lot of French influence in its cuisines and Creole culture. 4. Lake Pontchartrain Causeway near the city of New Orleans has been declared by the Guinness World Records as the longest continuous bridge in the world. 5. The Superdome in New Orleans is the largest enclosed stadium in the world. 6. The phrase 'Dixieland' comes from the name 'Dix' that was the currency of Louisiana back when the states were using their own currency. 7. The submarine sandwich which is also called 'sub' or the 'grinder' is known as "po'boy." in New Orleans. 8. Lee Harvey Oswald, born in New Orleans in 1939 is one of the most infamous persons in the US for assassinating President J.F. Kennedy. Perhaps only Osama bin Laden is more infamous. 9. New Orleans was the largest city in the Confederate States of America during the American Civil War. 10. The Voodoo culture was introduced in New Orleans by the 1800's voodoo queens. Of the queens, Marie Laveau became more prominent as she overthrew other queens to become the sole oracle. The city of New Orleans is probably the most historical city in the US. Like most of the cities in the south, it has a checkered history and some sensitivities that are yet to heal. Other than that, it has one of the most interesting night scenes and if not for anything else, visit the city for its jazz music.